Comparative test of KLEBER Quadraxer 2, done by Auto Bild - published on 29 September 2017. 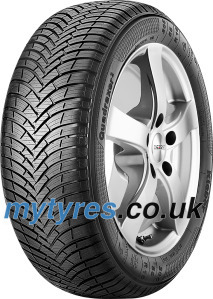 The KLEBER Quadraxer 2 tyre holds a B level labelling for braking on wet roads, one of the best of the market(1). Braking distance reduced by 1,6m(2). Thanks to its toboggans and its V-shaped directional tread pattern which facilitate water evacuation, aquaplaning risk is reduced(3). Its new sipes orientation guarantees a good take off, acceleration and braking on snowy roads. Braking distance on dry roads is reduced by 3.5m thanks to hinges which widen the contact area between the tyre and the road(4). (1) Labelling upgrade from C to B compared to previous range KLEBER Quadraxer. Source: Product Tracking Report August 2015. 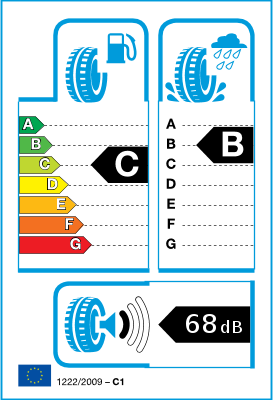 (2) Reduced braking distance on wet roads, 5% compared to previous KLEBER Quadraxer tyre. Michelin Group Winter Internal test on dimension 205/55 16 91H in December 2014 at the Ladoux Technology Center. (3) Reduction of hydroplaning longitudinal by 8% and curved by 4% compared to previous KLEBER Quadraxer range on dimension 205/55 16 91H. Michelin Group internal test realized in December 2014 at Ladoux Technology Center. (4) Braking distance reduced by 3,5m ie 9% less compared to previous KLEBER Quadraxer range on dimension 205/55 16 91H. Michelin Group internal test realized on January 26th 2015 on Fontange track.